Home is not a place, it’s a feeling. Home is the starting place of love, hope and dreams. Lately I have been meeting lot of people who are heading to Sydney, Australia. Some of them have plans for Sydney, some don’t. I say it’s a must! Not only because I live and love it there but because it’s one of a kind, a rare gem! When someone comes to visit me, the first place I take them is Opera House. 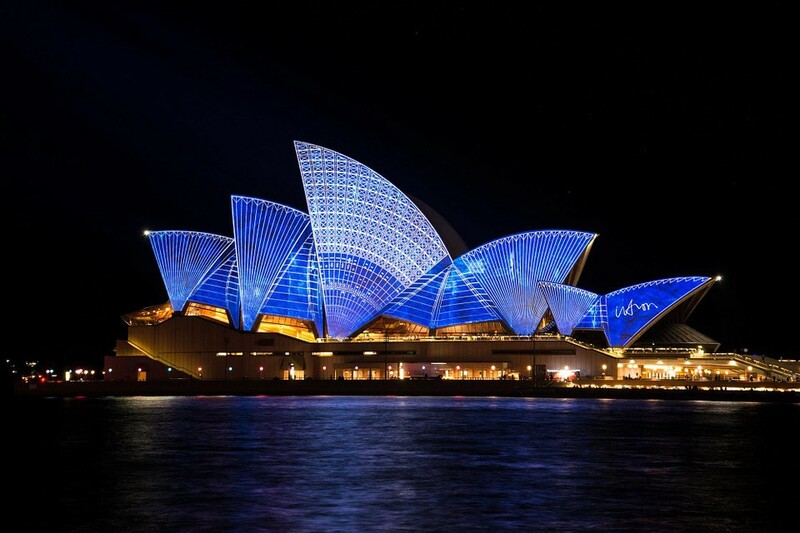 This UNESCO heritage site is world famous for its distinctive sail-like design, great view of waterside and picturesque sky high, arched Harbour Bridge and lovely Royal Botanic Gardens nearby. You can also visit inside of Opera house or book in advance for Musicals. It is well connected with transportation and strolling along the beautiful harbour and Circular Quay is always enjoyable. It is also the place to buy authentic, local souvenirs. December — February is the best time to visit my city because it is summer time. It is when my city shines little brighter. Outstanding street performances, art exhibitions, holiday seasons, great weather, walks on the beach, delicious BBQ on the beach, all outdoor activities and mainly Summer Christmas and New Years. You could enjoy all this and more with sun and fun. You can see my city best from Sydney Tower’s 268m glass viewing platform, the Skywalk, offers 360-degree views of the city, harbour and suburbs. It also has a restaurant if you fancy dinner/drinks overlooking the entire city. Another option is to get on helicopter ride and enjoy magnificent view of this beautiful city. My city’s best museum is Hyde Park Barracks because this place is filled with Australian Convict History and how it all started. There’s history in every corner here! Great place to start if you want to know Australian history and tickets are fairly priced as well. The best place to spend time outdoors in my city are gorgeous Sydney Beaches. Most of them are well known for its perfect golden sands, great surf and proximity to excellent cafes, restaurants and nightlife. It is a great spot to meet your friends or go solo. You can spend an entire day playing volleyball, swimming, reading a book, walking on the beach, shopping, dinning and so on. My city really knows how to celebrate Summer Christmas and New Years Eve because from locals to tourists each and everyone gets excited during this time. There’s always extra something in the air. People from near and far visit Sydney in New Years Eve to witness spectacular, grand colorful and breathtaking fire works displays in the harbour. It lightens up its people and the whole city. Definitely one of a kind. You can tell if someone is from my city if they support Waratahs in Australian Rugby or if they address you as mate instead of friend. For a fancy night out, I head to cafes, restaurants and night life at The Rocks, The Star or CBD. Easy to reach, many options, good crowd and night is always young. Just outside my city, you can visit Blue Mountains or many other national parks for good hiking, great sunset views, stunning lakes, boating, camping or cannoning. Spiders and snakes hanging out in shower could only happen in my city! In the spring you should enjoy Sydney beaches and walking tour of Sydney. Visit the Taronga Zoo, the Rocks, the Sydney Opera House, Sydney museums, Climb Harbour Bridge if you like, The Royal Botanic Gardens, China Town, Darling Harbour, Hyde Park. Go Bush walking in one of the gorgeous national parks. Take a day trip to North, South and west of Sydney. In the summer you should definitely celebrate Sunny Christmas on the beach. On the Boxing Day, go shopping or see the yacht race in the Sydney Harbour. Sydney New Years Eve Fireworks. Go surfing, learn windsurfing, learn kite surfing, cruise the harbour or at least cross the harbour to Manly, sail the tall ship, visit Manly or Coogee and many other beaches. Drive down the South Coast for a spot of fishing. Meet three sisters at the blue mountain and hike, rock climb or sunset picnic. Markets, cafes, shopping, late night dinning. Sydney Festival in January, Sydney Gay and Lesbian Mardi Gras in February are must see as well. Sydney is huge, get out there. In the autumn you could enjoy Sydney Easter show which is a long weekend holiday. If you have kids (or are a kid at heart), you won’t want to miss Royal Easter show and Luna Park. Best view and fun play ground for both kids and young at hearts. Almost all age group go to Easter show and enjoy the vibe. We also have ANZAC day to thank our ancestors and celebrate. Every year the annual ANZAC Day parade happens in the city and ends with a grand fireworks display in the darling harbour. Then of course the Sydney St Patrick’s Day and in early autumn beaches should be good to go as well. Visit Nelson Bay, Sand dunes. In the winter you should definitely go snowy mountain or Perisher only couple hours drive away. Ski/snowboard heaven. July is the coldest month but winter in Sydney is not harsh. So, you can still enjoy most of above mentioned activities along with indoor activities like indoor climbing, pool and so on. But if you think it feels like Christmas, enjoy Christmas in July with log fires, Christmas dinner and carols in the air. Many cafes, restaurants and communities organize this annually. Winter time is also the whale migration season and if you are lucky you will spot the whales as they travel north. It is also good season to go bush walking admiring royal national parks. In two sentences or less, i heart my city because it offers best city life mixed with great national parks, stunning sunsets and world class beaches at the same time. It has diverse culture, food heaven, fun night life and to top it all up great weather almost all year around. See even peacocks love it here!